Six Consecutive Years of Superior MFM Results!!! To all Midwest Family Agencies: This past year was another year of record results for Midwest Family. Our written premiums grew by 9.5% to another record annual written of 172M. We are now doing business in 20 States in the Midwest, Southwest, and Northwest regions of our Nation. Ten years ago the vast majority of our business was written in only 2 Midwest states. Our business relationships with our agencies are maturing very well in all of our States. MFM's written premium growth is the best measure of our enhanced relationship with you. Our 2018 Combined Ratio was an excellent 90.2 improved from the 92.3 in 2017. All lines of business contributed to good loss results this past year, EXCEPT for auto lines. Both Personal and Commercial Auto loss experience was marginally unprofitable and yet Auto loss ratios could not ruin an otherwise superior year of overall loss results. Organic surplus grew by 16% and an investment house Surplus Note infusion in the 4th quarter at very competitive terms pushed our total surplus to just short of 100M. By any measure 2018 was a special year financially, and it culminated in MFM issuing record contingency payments to our agents which were paid on January 10, 2019. No company pays its Agent contingencies faster than MFM! 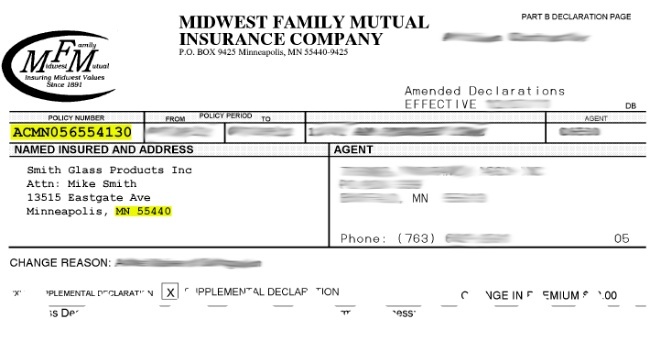 Our new company 'Midwest Family Advantage Insurance Company' (MFA) was formed in Iowa in 2018 as a fully owned stock subsidiary of Midwest Family Mutual. 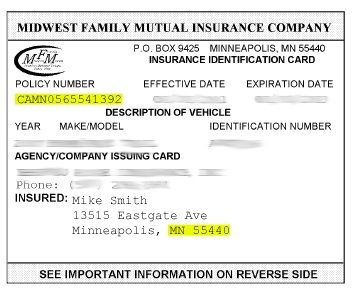 Our work is progressing well to obtain MFA licensing in all States where Midwest Family Mutual is already licensed. We expect much of this MFA licensing to occur in 2019. Our first alternative MFA product will be Workers' Compensation. We are excited about our prospects of having MFA as another tool to strengthen our business relationship with you. All of us at MFM thank you for all your contributions to our success in 2018. MFM's future is bright because of our Agents! MFM's second quarter results exceed expectations! MFM posts good to great first quarter results! !